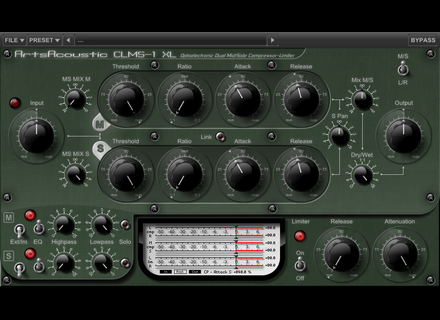 CL Series, Software compressor from Arts Acoustic. ArtsAcoustic has announced the release of the Mac OS X VST/AU Universal Binary version of the ArtsAcoustic CL Series along with an updated version for Windows. The ArtsAcoustic CL Series (€199 / $229) is a bundle of three analog-modelled photo-electronic dynamic processors, namely CL-1, CLMS-1 and CLMS-1 XL. They're based on various analog opto-electronic diode tube compressor schemata used during the late '70s up to the mid '80s. Added: Mac OS X support. Added: Limiter - RMS level detection. 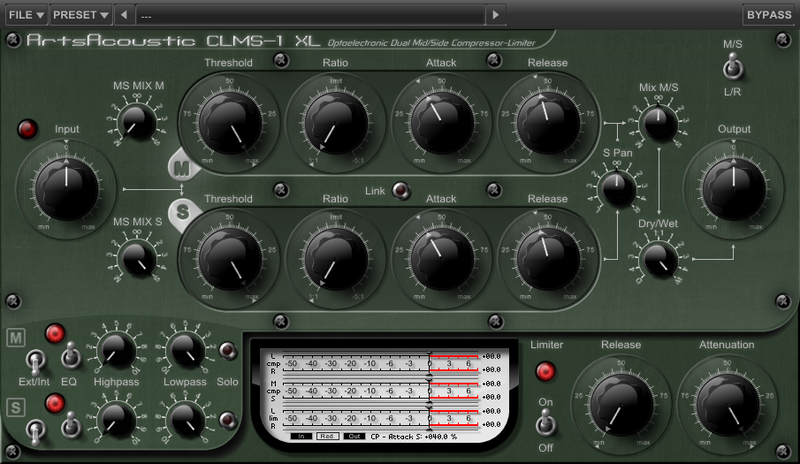 Added: CL1 can be used as Mono Plugin. Fixed: Mouse wheel supported in FL Studio. Fixed: Failed to load in some hosts (Samplitude, Studio One). Fixed: "About" window caused the Samplitude UI to get blocked. Fixed: Some serial numbers have not been saved properly. Changed: The Plugins introduce a latency of 0.73 ms. Plugin Latency Compensation by the host is supported. Changed: Dragging the knobs lets them snap to the correct value. PlugHugger Club Tools Vol. 1 Plughugger has announced the release of Club Tools Vol. 1, a new soundset for LennarDigital's Sylenth1 synthesizer.